I’ve read a lot about Hitler, the Nazis in general, the Holocaust, and, of course, the 2nd World War, but my knowledge of Hitler’s inner circle of power and how they interacted and related to der Führer (German for “The Leader”) was rather thin and incomplete as I enjoyably discovered. Joseph Goebbels was true believer to the bitter end. I’d read this about him to some degree, but this Netflix series really showed just how critical Goebbels was in building the Nazi party and, more nefariously, in pushing the hatred of the Jews as one of the core beliefs of the Nazis. It was Goebbels who was behind the infamous Kristallnacht (Crystal Night) in 1938, named “from the shards of broken glass that littered the streets after the windows of Jewish-owned stores, buildings, and synagogues were smashed.” Kristallnacht marked the first steps toward the Final Solution. Over two nights hundreds of Jews were killed and 30,000 were sent to concentration camps as a result of Kristallnacht. The day following the pogrom Hermann Göring said, “The Jewish problem will reach its solution if, in anytime soon, we will be drawn into war beyond our border—then it is obvious that we will have to manage a final account with the Jews.” While Göring and Himmler would ultimately abandon Hitler at the end, Goebbels remained loyal to the very end. Sadly, I had forgotten, Goebbels had brought his family to Hitler’s bunker and after Hitler committed suicide Goebbels had his wife poison all three of their young children and then he and her took poison pills. Hermann Göring seem less fanatical and more pragmatic. He didn’t think invading Russia, for example, while the British were still not pacified, a good strategy. Likely thinking of WWI, he didn’t think a two front war was a winnable situation for Germany. But he couldn’t get Hitler to listen. He was angry and confronted Goebbels about Kristallnacht, complaining the violence and destruction bad for the German economy. And “who was going to pay for all the damage” Göring demanded to know from Goebbels. Of course the answer, from Goebbels and agreed to by Hitler, was that the Jews would pay for it. Albert Speer, who’s memoirs I read many years ago, is one of those characters who doesn’t seem so much a committed Nazis as much as a committed German. He is the young architect who Hitler took under his wing and was ultimately made Minister of Armaments and War Production. It’s really in following Speer’s path that you see one of the most fatal flaws (that surely Speer mentioned in his book but I’d forgotten) in Hitler’s approach to war. Even as the Russian front and Operation Barbarossa began to look grim for Germany, the German Economy was still not in full war mode. Hitler wanted the home-front affected as little as possible by the war. As late as 1942, with German soldiers occupying most of Europe, Britain still in the war and America now a member of the allied forces, and a raging war in Russia, a number of German factories were still producing common household goods instead of war materials for troops in the field. It was Speer and Goebbels who pushed Hitler to approve a plan of “total war.” This plan called for ALL Germans to be directly involved in supporting the war. All factories had to be retooled to produce war materials and even German women (which Hitler resisted at first) needed to be working in those factories in support of the war effort. Of course in Britain and America this was the situation pretty much from the beginning. Germany had been at war since 1939, and here they were three years later just getting around to a total war economy. My theory is success blinded Hitler to the need to transform his economy. His victories had been swift against the allies in the beginning. The tempo of his economy was sufficient for the task up to that point, so he didn’t see a need to transform all his industries and bring the war home. It was Speer who realized this fatal flaw, but by then it was really too late. At the last minute I decided to go see the movie Dunkirk. The movie is based on the mass evacuation (26 May to 4 June 1940) of British and French troops from the beaches of Dunkirk, France, during the opening stages of WWII. Before the Russians and the yanks got involved, the German army was pretty much taking whatever they wanted and crushing all resistance. They were steam rolling the continent. The French and British armies, woefully unprepared to face Hitler’s military juggernaut, had been pummeled and forced to retreat to the beaches of Dunkirk and wait to be evacuated to England before the encircling German army killed or captured them. This is a war story, so one should expect the typical motifs of war and warriors: sacrifice, endurance, honor, courage, fear. They’re all here in abundance and they give to the film, as such emotions do, a raw energy, mostly dark, but with the occasional piercings of light. The tempo of the movie is fast—rightfully so when soldiers are cornered, beaten, tired, afraid and being constantly strafed by German airplanes. The movie is told through 4 perspectives. There’s a British army private and his attempts to get off the beach anyway he can, even if it means using deceptiveness to cut in line to board a transport ship—from which he barely escapes after the ship is sunk by a German bomb just after departing. There’s the British Navy admiral, played perfectly by Kenneth Branagh, standing stoically at the end of a long pier, directing the orderly loading of troops onto transport ships, and refusing to leave until all the troops, British and French, are evacuated. There’s the British father and son, who join the thousands of other British civilians, using their personal boats and braving the bombs and machine guns of German planes, in order to help evacuate the British army stranded on the French beach just across the English Channel. And then, lastly, there’s the British Spitfire pilot. He was my favorite character. Alone and running out of fuel, after having his two wing men shot down, instead of turning around and returning to base, he continues to engage the enemy, fighting until the last drop of fuel is gone. Leading up to this, there’s a defining scene in the movie where this British Spitfire pilot is staring at his gas gauge. He knows if he doesn’t turn around now, he can’t make it back to England. His face is covered by a flight helmet and mask so all you see is his eyes. And that’s all you need. In those eyes you see the brief moment of struggle, the thousand yard stare as his mind hovers between two loves and two duties, and then the decision, his eyes relax, and we see a man embracing his fate. He pushes the throttle forward to chase a German bomber in the distance. He’s not turning back. No. His countrymen are on that beach getting shot at and every man must do his duty. If you’re looking for complex character development this isn’t your movie. At the opening of the movie you’re dropped into a quickly evolving situation and you’re carried along on a fast ride. The movie is more about action and scene than dialogue and personal connection. The emotional connection you get is from the pathetic spectacle of watching men fight for their lives against the odds. To survive is to win! A terrible sense of doom lingers over those beaches, and the only thing those soldiers have is their fighting spirit and the faith in their fellow countrymen to rescue them. On a scale of 1 to 5, five being the best, I’d give Dunkirk a 3.5. It lacked in a few areas in my view but overall it was a good movie and I recommend it. If you go see it, please come back and let me know what you think. This post is mostly about my love for history, but it’s also partly about being a memento for my youngest son to remember our trip by. In great deeds, something abides. On great fields, something stays. Forms change and pass; bodies disappear; but spirits linger, to consecrate ground for the vision-place of souls. And reverent men and women from afar, and generations that know us not and that we know not of, heart-drawn to see where and by whom great things were suffered and done for them, shall come to this deathless field, to ponder and dream. Like with any meaningful place, there’s a unique spirit-of-place to Gettysburg that stills the soul and leaves a lingering presence, haunting the corners of your mind long after you’re gone. First, my love for history and biography. I’ve read and learned a lot about the Civil War and the leading characters of this epic historical drama. The battle of Gettysburg was the biggest, mostly costliest battle ever fought in this hemisphere. At the end of 3 days of savagely intense fighting, there were upwards of 51,000 casualties between the two armies. Consider that just for a moment. Over an approximately 72 hour period, there were almost as many casualties incurred at the Battle of Gettysburg as there were U.S. troops killed (59,000) in the entire 10 years of the Vietnam War. For any student of American history, you can’t learn enough about the Civil War or what happened at Gettysburg and how it changed the direction of American history and the shape and trajectory of our nation leading up to the present. There are many great books out there, but I suggest you begin with the best. The Civil War historians Bruce Catton, Shelby Foote, and James M. McPherson have produced some of the finest literary histories ever written. Stephen Sears wrote one of the best, most comprehensive histories of the Gettysburg campaign. And who can forget the absolutely absorbing, pulitzer prize winning, historical novel by Michael Shaara, The Killer Angels, and the movie based on it. There’s a lot of great literature about the Civil War. Any aspiring writer can learn his or her craft just by reading Catton, Foote, and McPherson alone. The study of war is so much more than a study of strategy, maneuvering, and the calculated application of violence. The history of warfare (as does all history) teaches us many things, but it’s an especially good tool for teaching leadership, whether it’s for the personal or professional domains of our lives. Violence, to be sure, is the shroud of war. But within this covering fabric is the vast interweaving of human qualities, both base and noble. To study and learn from this collision of circumstance and character is one of the best educations in human nature, human excellence, and human folly you’ll ever get. “History is,” Lord Bolingbroke once said, “philosophy teaching by example.” Hopefully this type of liberal education, as it was intended, inspires each of us to emulate the virtuous and the noble; to be guardians of civilization and civilized values. An education in any of the Liberal Arts is ultimately about improving the heart and mind, but historical study in particular provides the best laboratory for examining what human beings have actually done, said, and suffered. Literature, historical or otherwise, has the potential to greatly expand our empathetic and intellectual horizons. It’s a never ending journey of discovery. It has the potential to positively transform your life. This brings me to a brief aside. I think it’s important to remember the great teachers of our life, those who helped form who we are today. I date the beginning of my lifelong fascination and love for history to my time in Donald Fuller’s history class at Kempsville Junior High School (now Kempsville Middle School) in Virginia Beach, Virginia. Don Fuller was a retired Naval Officer and teaching was his second career. He had a real passion for teaching and he really knew how to make history interesting and relevant to my understanding of the world. I can still remember how I’d approach him after class to get more details about a famous person, battle, or event that he’d discussed during class. He would take his time with me and often draw on the chalkboard to illustrate his point. I can still remember him drawing the details of Hannibal’s “bending bow” strategy at Cannae. He knew so many interesting things about the battle and the characters involved. I remember being fascinated by the depth and breath of his knowledge, and thinking to myself how I’d like to be that knowledgeable about history one day. I can still recall the sound of his unique voice. About a decade or so after attending his class, I visited him at Kempsville Junior HS, where he was still teaching. He remembered me at first sight and was glad to see me. We had a good long talk standing in the hallway. He was still the teacher, and I was still the admiring student. He was a big influence in my early life and certainly a big reason history has been one of the passions of my life. In its original Latin derivation, the word inspire means “to breath into.” Don Fuller truly inspired me. I really admired him, and I will never forget him. Secondly, I also wanted to visit Gettysburg because my good friend Rich had never been there, and he wanted to take some pictures (I didn’t know at the time, that another motive for Rich wanting to go was his secret mission to help get me out of the house so my lovely wife could prepare for my surprise birthday party, that afternoon, when we got home!). And lastly, but most importantly, I wanted to go to Gettysburg so I could spend some quality time with my youngest son, Seth. This would be his first trip to Gettysburg and hopefully one among many to historically significant places over his life. Our first stop that morning, after touring the visitor center (where I bought my son a toy musket and canteen), was the federal army’s position along Cemetery Ridge. Union or federal army troops had retreated to this position (the high ground) and formed defensive lines during the 1st day of battle (It was a 3 day battle, July 1-3, 1863). The battlefield, especially the federal army side, is replete with monuments and memorials. The largest and most impressive is the Pennsylvania memorial. All around the outer edge of this massive stone structure are large bronze tablets with the memorialized names of approximately 34,000 officers and soldiers from the Pennsylvania regiments that fought in the battle. While walking around the Penn memorial, Seth and I discovered that it had an upper level for viewing the battlefield, so we headed up. My son was nervous about being up so high. He leaned against me protectively and held my hand tightly, as we climbed the narrow spiraling stairwell. As we continued up I heard his shaky voice, slightly strained with fear, say “I’m afraid of heights dad.” I’d never heard him say this before, so I pulled him closer and we continue up. We emerged onto a circular viewing platform and a magnificent view. From this position we were near the center of the federal army line. To our south the line runs to Little Round Top—the far left end of the federal army line— and then turning our gaze northeasterly, we saw Culp’s Hill, which is the far right end of the federal army line. Directly to our West was the confederate army position in a tree line along Seminary Ridge. We lingered a little while and I took some pictures. We waved to Rich who was still in the parking lot below getting his camera equipment together. He took a picture of us waving from the top of the memorial. My son didn’t want to linger, so we walked around the memorial dome, taking in the view from all sides, and then headed back down. We moved from the Penn memorial to another part of Cemetery Ridge known as the “bloody” Angle. This is the point confederate General Robert E. Lee focused his main attack on the afternoon of July 3rd at about 3 p.m. Known as Pickett’s Charge, it was comprised of between 13,000 and 15,000 men, mostly Virginians, and was ultimately repulsed (with over 50% casualties), but not before a brigade of Virginians led by Brigadier General Lewis Armistead breached the federal line at the Angle. Armstead’s men fought bravely, but there simply wasn’t enough of them to exploit the breakthrough. There’s a plain stone marker at the spot where Armistead was hit and fell during the close quarter fighting. That spot is known as the High Watermark of the Confederacy. The new Trump Administration has been a boon for sales of George Orwell’s book 1984. The novel is a literary masterpiece. Originally published in 1949, it’s a dystopian novel about authoritarianism. The most famous quote, which you’ve probably heard at one time or another, is “Big brother is watching you.” The novel introduces us to concepts like Newspeak, doublethink, and thoughtcrime. The decades old novel is suddenly back on the bestseller list (an Amazon #1 recently) because some of the book’s ideas are speaking to us at this unique time in American history. What this book does, or I should say what all good literature does, is provide us with a vocabulary for articulating our feelings and thoughts. Being able to speak about something allows us to better understand it. Freedom of thought, as the novel tells us, is partly brought about by an expansion of expression via language. Thought and language are tied together. I’ve read the entire, approximately 3 inch thick, volume of the Everyman’s Library edition of George Orwell’s essays. It’s one of my top 10 all time favorite books. Orwell’s novels are excellent, 1984 is one of the finest literary achievements in the English language, but it’s in Orwell’s essays and non-fiction books that we get the George Orwell that’s so admired and respected as a social critic and writer. His essays are a first class education in the humanities and writing all by itself. Take my word on that. We could have a college level course just on Orwell’s essays and it would be a fascinating intellectual and moral adventure. Being Orwellian, I think, should also mean having a scrupulous concern for precision, integrity, and facts in the way you think, write, and speak. The truth is usually complex and sometimes very difficult to get at, but it can only be genuinely approached along this Orwellian path. 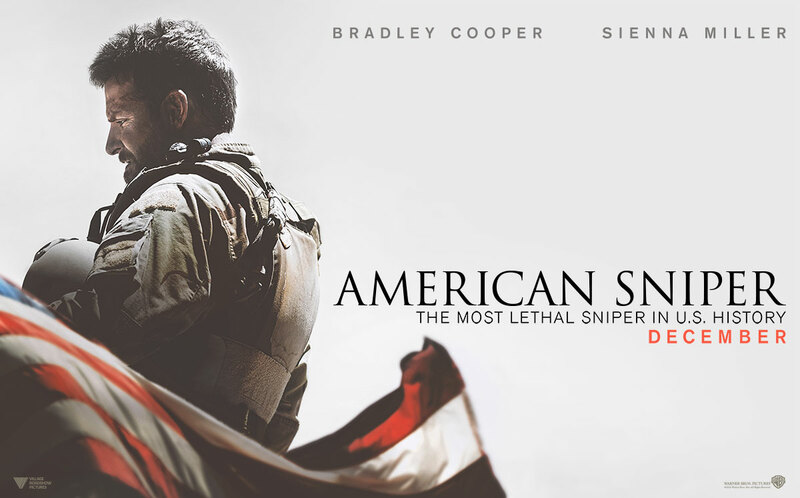 I hadn’t originally planned on seeing the movie American Sniper, but the brewing controversy around the film piqued my interest. For those who don’t know, American Sniper is a film based on the book by the same name written by former Navy SEAL Chris Kyle. Kyle served 4 tours in Iraq and ended the war as the most lethal sniper in U.S. Military history. The controversy over the movie, as I take it, centers around whether the film actually represents Chris Kyle as the man he actually was, according to his own memoir, or did Clint Eastwood, the film’s director, engage in creative license as many have claimed. I read Kyle’s book—every word of it—before I went to the movie. I also watched a large number of Youtube videos of Kyle, where he discusses his book, his life, and his views. So did the movie portray Kyle as he portrayed himself in his own book? My answer is, well, no and yes. First, why do I say no? The movie portrayed a Chris Kyle that appeared more sensitive and emotionally affected by the war and the killing than the book portrays. The Chris Kyle of his memoir makes it clear he enjoyed war and had no problem with anyone he killed — men, women, or in some cases, young boys whom he judged a threat to American soldiers. At times Kyle does come across a little raw in his book, which I think we can mark down as part warrior mindset, part bravado. The Chris Kyle of his book, for example, can say things like “I don’t shoot people with Korans—I’d like to, but I don’t.” That scene, those words, aren’t in the movie. Kyle is credited with killing somewhere around 160 Iraqi insurgents. At least, as he would tell you, that’s the “official number.” The impression he likes to leave in the book, and I believe he admits somewhere else, is that he killed a lot more Iraqis than the official number he’s credited with. No one knows exactly how many people Kyle killed unofficially, or under what circumstances, since only the official kills had, as he reminds us multiple times, a “witness” to each of them. I will also add the movie took a number of liberties with events. For example, there is one paragraph in Kyle’s memoir about an Iraqi sniper by the name of Mustafa. Kyle said he never saw Mustafa and he “believed” Mustafa was killed by some other U.S. soldiers. However, one of the movie’s main themes is the hunt for Mustafa. At the end of the movie, in typical heroic Hollywood style, Kyle kills Mustafa with an incredible 2000 yard sniper shot. This is pure fiction. The movie has a number of other scenes and events that aren’t in the book and appear to have been added to the movie for the sake of dramatic tension. On the yes side of the movie—that it did portray Chris Kyle’s life. Well, I think the movie did a good job of showing the strained relationship between Chris Kyle and his wife, Taya. The movie was faithful in following the struggles they personally went through as a military family and as husband and wife. Bradley Cooper, who plays Kyle in the movie, also did a good job of playing Kyle. I thought Cooper did a good job with Kyle’s mannerisms, speech, and Texas twang. The movie did show some scenes right from the book, such as when Chris and Taya first met at a bar in California. I thought Bradley Cooper, while not giving an entirely accurate portrayal, which is not possible anyway, did give us a version of Chris Kyle. A version we should expect when Hollywood writers and movie making are involved. I wasn’t surprised, in fact, I rather expected it. I think the controversy over the movie is partially driven by the fact that the war in Iraq was (and is) controversial. I think it’s fair to say now the war in Iraq was an epic mistake. I don’t think an honest person can disagree. But it’s also important to remember that soldiers have no vote in the wars they fight. They sign up to serve their country and are tasked with fighting the wars the nation’s commander-in-chief directs them to fight, regardless of whether any of us agrees with the decision. That’s a soldier’s duty and it’s important point to keep in mind. Critics are correct in saying the movie doesn’t give us an accurate portrayal of the Chris Kyle of his memoir. So, again, they do have a legitimate point there. Kyle was, according to his own words, unmoved by the large numbers of people—basically a small village—he killed personally while in Iraq. In his mind these killings, each and every one of them, were justified. None of us, I remind critics, have any evidence at this time that Kyle killed anyone unlawfully or without justification while serving in Iraq. As far as we know “officially” (Kyle is grinning…believe me), everyone Kyle killed deserved it. I have mixed feelings about Kyle the man of his memoirs. But I can say without hesitation, if I’m going to war I’d want Chris Kyle on my team. Regardless of whether we agree with the war, our mission must be to win it once we’re in it. Chris Kyle was a warrior to the core. Some of us may not like his manner or his bloodthirsty spirit, but when the shooting starts and you’re fighting for your lives Chris Kyle is the man you want there fighting beside you. It’s because of warriors like Kyle, sitting at his position of overwatch, that many American families were spared the loss or maiming of a loved one in Iraq. For that he certainly is a hero. To conclude, as a movie I recommend seeing American Sniper. While the movie does take license in its portrayal of the protagonist, and does have some factual flaws, it isn’t such a break from the Chris Kyle of the book that we can’t get a slightly blurred picture, or modified version, of the real Chris Kyle and the struggles our military men and women and their families go through in war. And the plain truth is, it’s a good war movie. It does give an accurate portrayal of the harsh realities of war—the life and death decisions, the struggles, the costs, the sacrifices and even, while some of us may not always feel comfortable with it, the type of people it takes to win. Note: Chris Kyle was tragically killed at a Texas firearms range in February of 2013 by an Iraqi war veteran he was attempting to help. As of this writing the accused killer, Eddie Ray Routh, is about to go to trial for capital murder.